Mario Ruiz has a degree in Industrial Design from the Elisava design school in Barcelona. He began his professional career on his own in 1995, mainly doing office furniture projects. He currently performs works of diverse nature: technology, office, home furniture, outdoor, lighting, etc. for internationally recognized firms such as Siemens, Steelcase, Thomson, Schneider Electric, Lapalma, Teknion Studio, Schiavello, Haworth, HBF, Offecct and Joquer, among others. 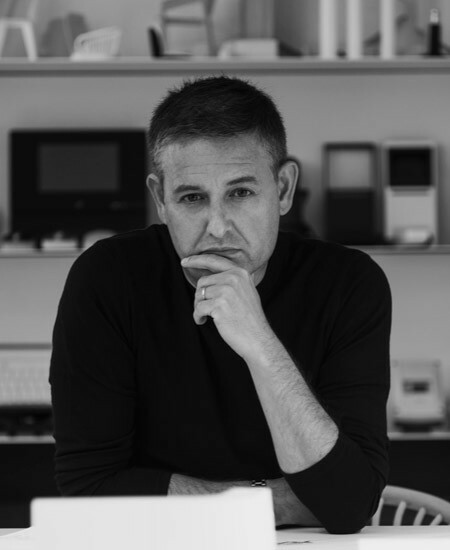 He has received prestigious awards, including several Red Dot, several IF, Design Plus and Wallpaper awards *.